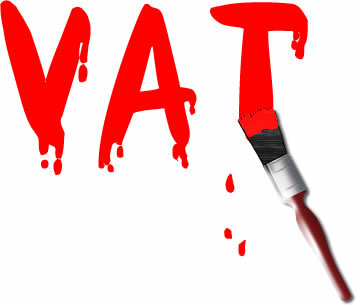 With the new increase of the current VAT rate from 17.5% to 20% in January 2011 I was wondering how this will effect painters and decorators like myself. I was wondering if the increase would put people off having any decorating done because they think the increase will make the decorating job cost too much. I hope people don’t think like this and actually think about what little difference it will make, especially by using a local independent tradesman who isn’t VAT registered. If a job costs £500 including the materials now (£400 labour and £100 materials) the same job in the new year will only cost an extra £2.50 as the materials are the only thing effected by the VAT. So, instead of paying £500 now you would pay £502.50 in January. Still think the VAT increase will make that decorating job cost too much? If your based in the Southend on Sea area and would like an estimate for some decorating in the New Year why not contact us or fill in our decorating estimate form to arrange an onsite visit.